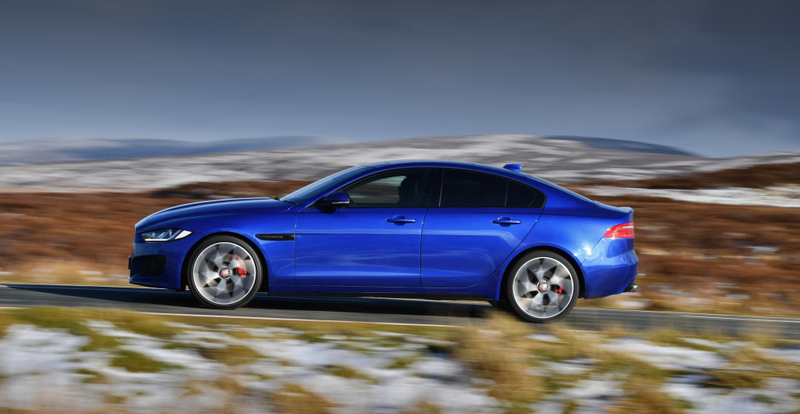 Jaguar pulled out all the stops when it introduced its BMW, Mercedes-Benz and Audi-rivalling XE model to the world back in 2015. And for good reason, as its predecessor – the universally panned X-Type – was a bit of a dog. New ownership in the form of deep-pocketed Tata meant that the British marque could take its time with the replacement XE and only whip the wraps off when it was good and ready. 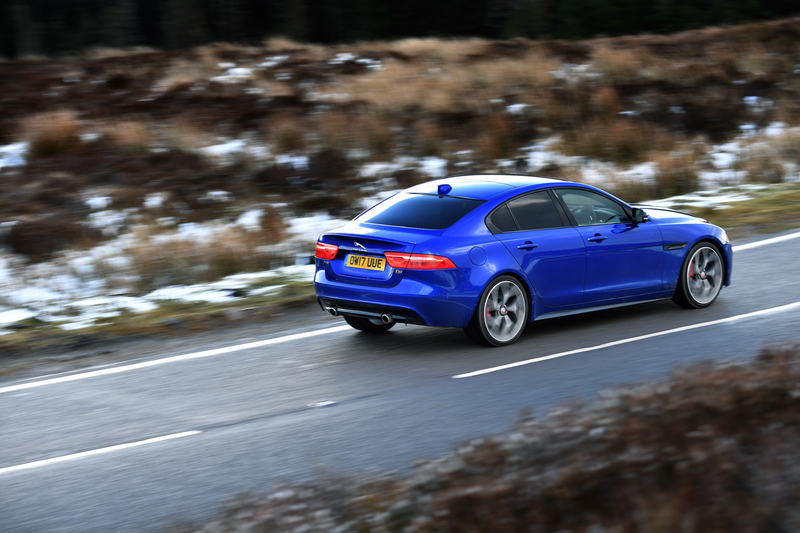 A cutting-edge aluminium chassis, the latest infotainment and driver assistance technologies, razor sharp styling and a new range of quiet, efficient and powerful 2.0-litre Ingenium engines ensured it went down well with those looking for a solid alternative to the ubiquitous German giants. 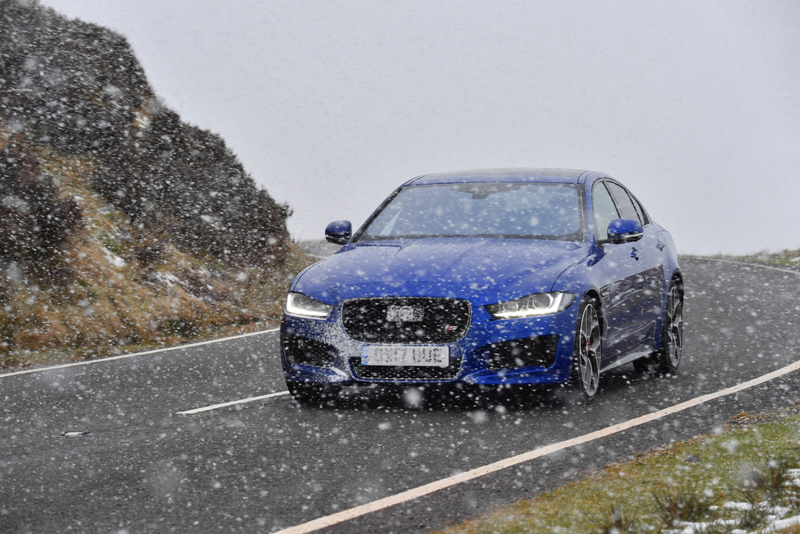 However, in a turn of events that not many saw coming, Jaguar decided to pinch the fire breathing supercharged 3.0-litre V6 engine from the F-Type and place it under the bonnet of this, the Jaguar XE S.
The results were impressive but short-lived, as the British marque has decided to phase out the brawny bruiser in favour of a 300hp version of its 2.0-litre Ingenium engine. Or there’s the upcoming 600hp XE SV Project 8, which packs Jag’s 5.0-litre supercharged V8 under the bonnet, but that’s a different kettle of fish entirely. The XE is sensitive to specification and those base models with the smaller 17-inch wheels and non-metallic white paint jobs have a tendency to blend into outside lane of any busy motorway. 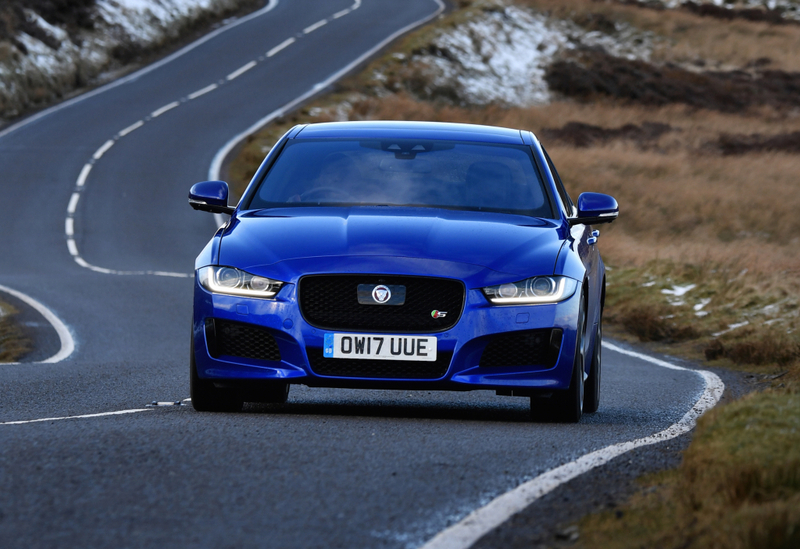 However, the Jaguar XE S features the marque’s beefier body kit, it wears a set of massive and beautifully intricate alloy wheels and adopts and generally more menacing demeanour compared to its weedier siblings. Inside, there’s everything you expect from a £48k top-spec iterant, including the British marque’s stylish 10-inch Touch Pro infotainment system that can be specified with clever Dual View technology, which allows the front passenger to consumer media without interfering with the driver’s interface. 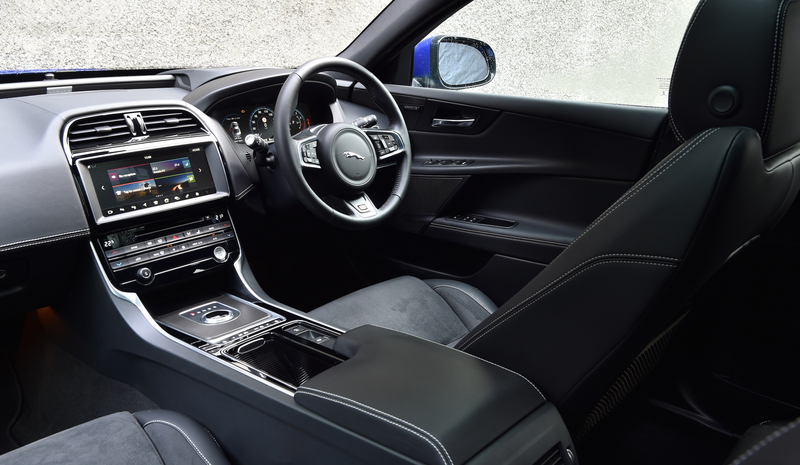 There’s also swathes of leather inside – most of which features neat hand-stitching – metallic surround cup holders, chrome touches on the dash and a 12.3-inch TFT display where standard analogue instruments would normally sit. 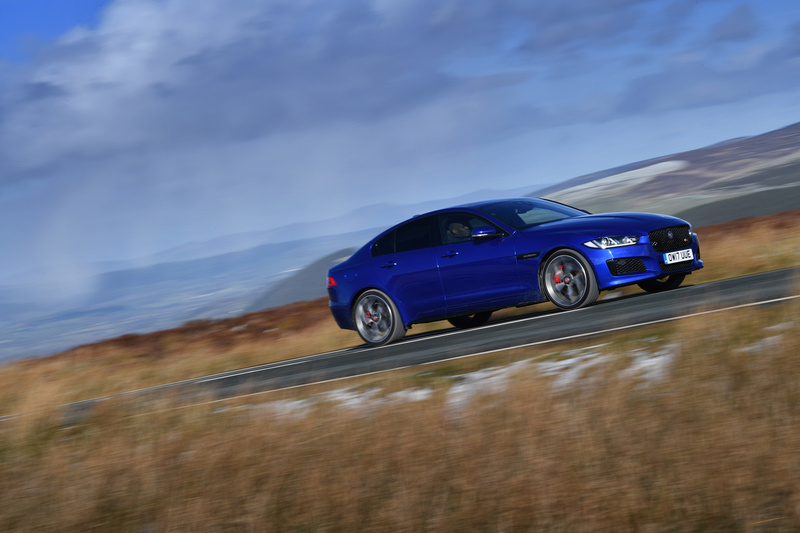 Seeing as this is designed to be a performance-orientated model, Jaguar has also thrown in carbon fibre veneers, lower sports suspension and figure hugging front seats. Look hard and you can find some cheaper interior plastics, while the rear does feel a bit cramped, but it’s a well-designed cabin that oozes premium qualities. 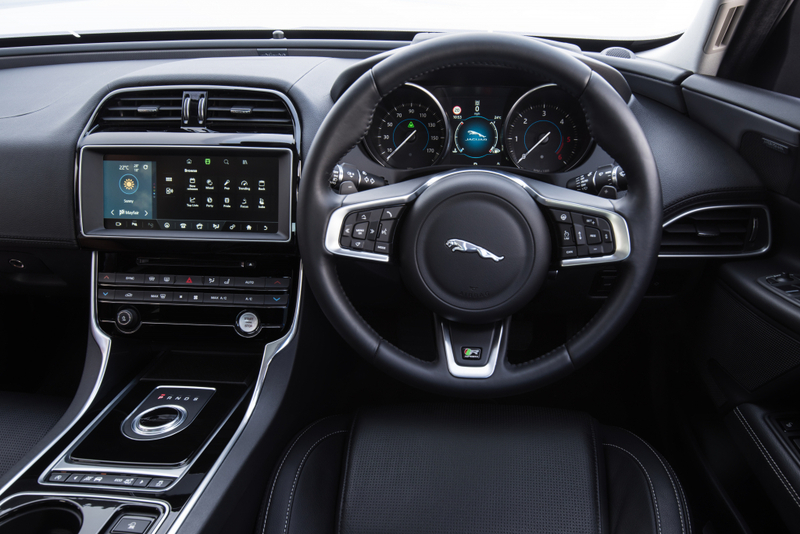 The list of standard equipment and technology across the XE range is impressive, with the aforementioned touchscreen featuring throughout and drivers benefiting from a long list of advanced driver safety and assistance systems (think adaptive cruise control and emergency braking). However, this test model also came fitted with a head-up display, an advanced parking system with multiple cameras and an 825W Meridian Surround System. Go mad with the options list and it all starts to add up but to be brutally honest, many of those additional niceties are very easy to live without. Jag’s Touch Pro system might be a vast improvement over its outgoing systems, but it still isn’t anything to write home about, with the interface often coming unstuck when overloaded with requests and its InControl apps limiting the connectivity of smartphones to Jag’s ring-fenced system. 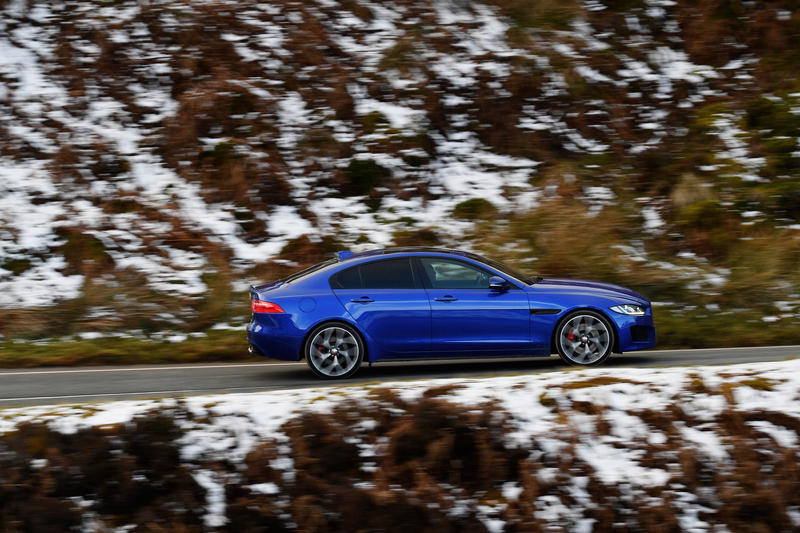 Jaguar’s potent XE will naturally get bundled into the same category as the BMW M3 and, at a bit of a stretch, Audi’s RS products and Mercedes’ AMG badged delights, but it’s neither of those things. 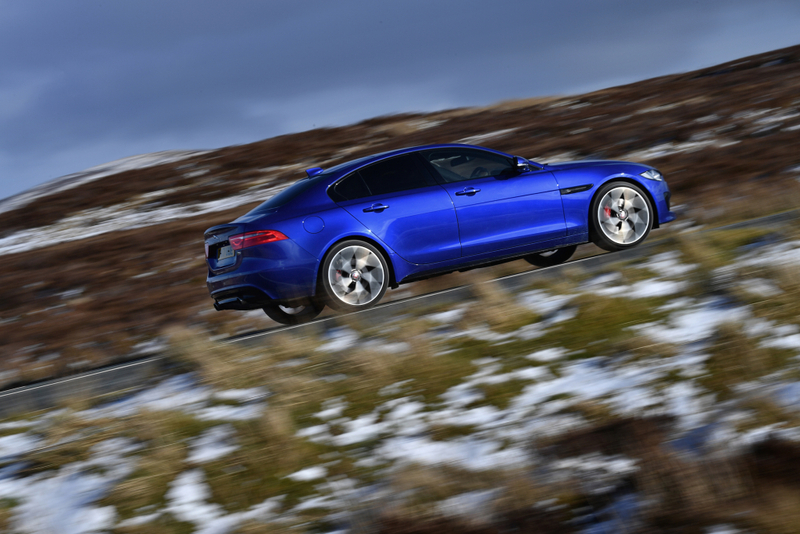 No, the Jaguar XE S is a comfortable cruiser first and foremost, with the additional joviality of a 3.0-litre supercharged V6 developing 380hp and 450Nm of torque underneath the bonnet. And it’s cheaper to buy. But that’s not to say it isn’t lively, because that power is sent to the rear wheels, which will happily light up if you’re over zealous with the right pedal. The steering, although not the sharpest or most direct on sale, beautifully compliments the excellent chassis and well-judged suspension set-up, making it easy to link up corners on those favoured fast, flowing roads. The eight-speed ZF gearbox is also a brilliant addition and reacts with a satisfying ‘clunk’ when the slim aluminium paddles located behind the steering wheel are pulled. Leave it in fully auto mode and it does a good job of judging the up and downshifts, too. Oh, and anyone who has savoured the aural delights of a V6 F-Type at full chat will appreciate the blaring exhaust note produced by the XE S.
It’s not exactly subtle upon start-up on a cold morning, but will never fail to raise a smile as you cycle up and down the gears, admiring the little pops and bangs emanating from the rear. It’s almost pointless summing up the virtues of Jaguar’s XE S because you soon won’t be able to buy a new one. The British marque is phasing it out and replacing it with something less polluting and infinitely more sensible. This is a massive shame, as we’d go so far as saying the sub-£50k saloon is one of the finest blends of ballsy performance and premium ride you can find for the money. 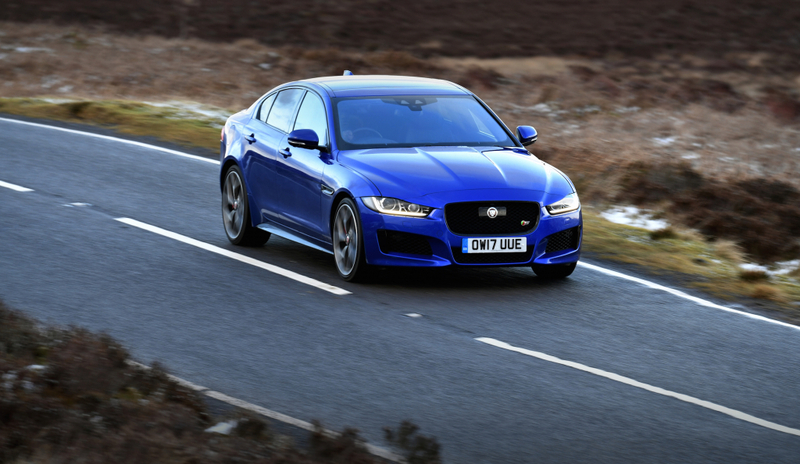 In fact, as soon as we handed the keys back to the man wearing a Jaguar jacket, we scoured the classifieds for used examples and it turns out exceptionally low mileage models can be snapped up for around £30,000. Now that’s a hell of a lot of bang for your buck.